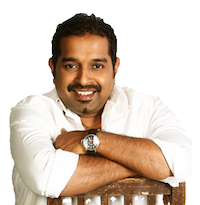 Welcome to the Shankar Mahadevan Academy, a venture I am truly excited about. Our vision is to make learning of Indian music easy, accessible, and exciting to people worldwide. Our philosophy is simple - to impart high-quality learning in music through innovative methods while having a great deal of fun. Whether you are just starting to learn music or are an experienced student, I can assure you that this journey of music learning and appreciation will be fun and very rewarding! Discover the composer in your child - a course that enables kids to write their own songs, practice them and perform. 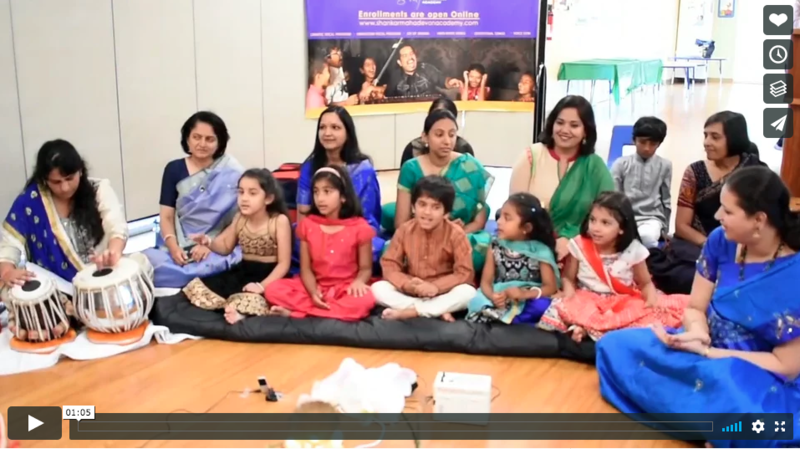 Instill the love for music in your child with this unique course which connects Swara Gyan with familiar Nursery Rhymes. 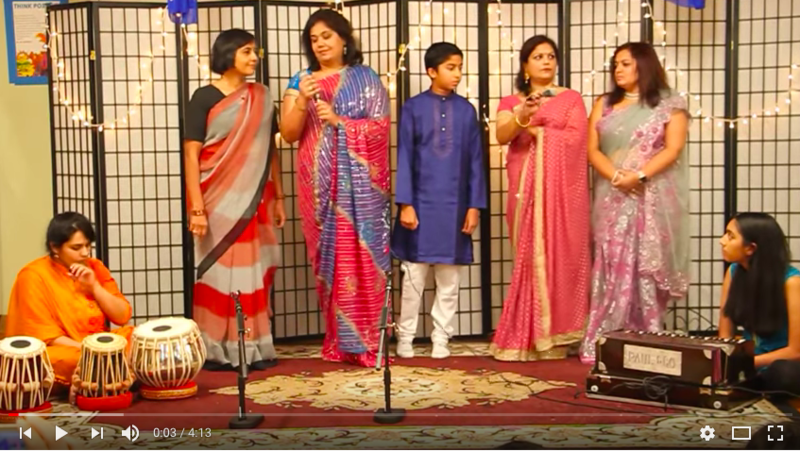 MALHAR is an annual recital hosted by Shankar Mahadevan Academy for our students in the Bay Area. Where and when will the recital be held? 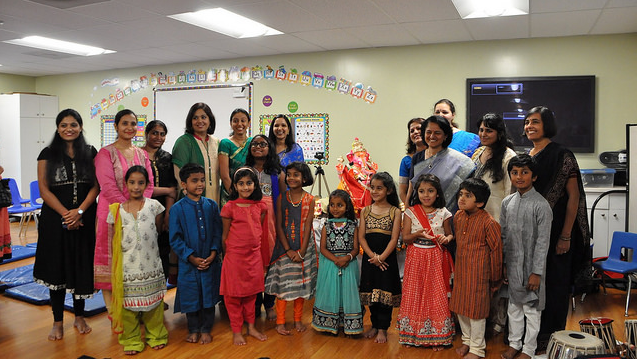 MALHAR 2019 will be held at the Sunnyvale Community Centre on June 1, 2019. How do we prepare for the recital? 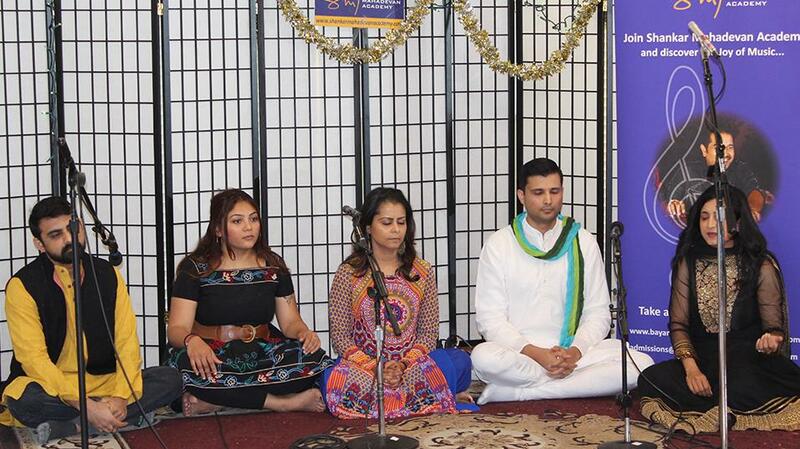 We will be holding 6 practice sessions to prepare for the MALHAR recitals. Each session would be an hour long. Sessions are classified by genres. 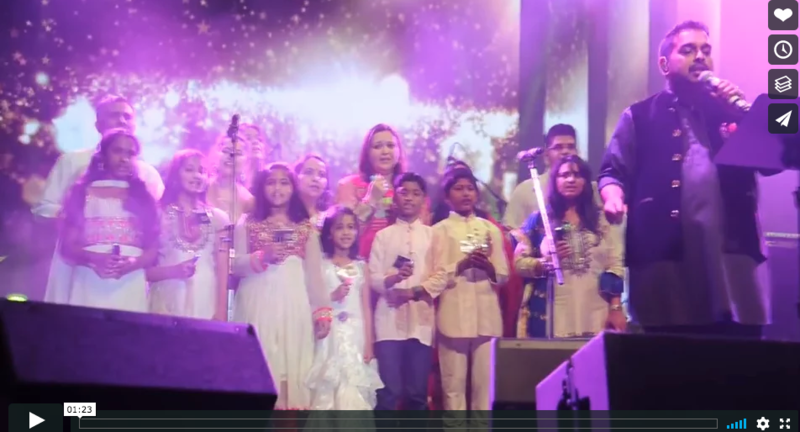 Is is open to first time students of Shankar Mahadevan Academy? Yes it is! If you are joining the Academy for the first time, look for a genre that you are interested in and then select the batch for "New" students. Continuing students register in the "Continuing" students batch. Yes! MALHAR is open to children. 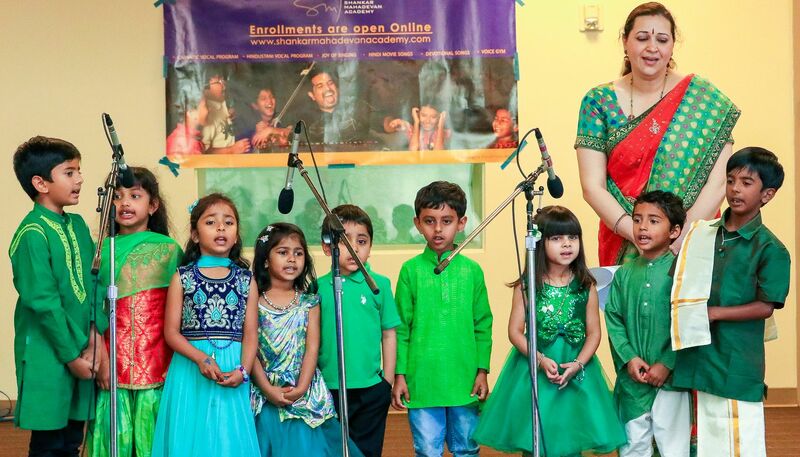 We are offering 3 genres for children - Hindustani Vocals (ages 5-13), Carnatic Vocals (ages 5-13) and Grow with Music (ages 4-8). If you are a new student of the Academy, please select the "New" students batch at the time of enrolment. If your child has completed a course with us before, please sign up for the "Continuing" students batch. Which batch should I pick? The rehearsal batches are divided based on Genre, Age and New vs. Continuing students. First select your Genre - Hindustani, Carnatic, Music for Children or Light Music. Next go for either the children or adults' batch based on your (or your child's) age. Please note all children above 14 qualify for adults' batches. Finally, if you are a new student of the Academy, please select the "New" students batch at the time of enrolment. If your child has completed a course with us before, please sign up for the "Continuing" students batch. What is the maximum batch size? A batch would accommodate a minimum of 5 and a maximum of 15 students. I want to bring my friends and family to the recital. What is the procedure? You are most welcome to bring your friends and family along. There would be a nominal price for entry tickets to cover the cost for holding the recital. The tickets will be up for sale in the next 3 weeks and communicated to you via email. Do we have any holidays for Good Friday or Memorial Day? We would be holding classes over the Good Friday weekend (i.e. April 20-21). There would be no classes held over the Memorial Day weekend (May 25-26). Subhashini Gunapu is a Carnatic Classical vocalist and Veena player. She has trained in Carnatic Classical vocals under Guru Vidwan Ramachandra Rao & learnt the Veena under her grandfather Vidwan Gopinatha Das & Smt Usha Shastry. 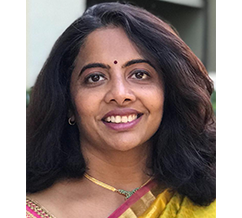 Subhashini has performed in many music festivals and has recently collaborated with Hollywood music producer Christopher Franke as well as renowned Sitarist Ashwin Batish. She has also accompanied Dr Balamurali Krishna for the album Narasimha Suprabhata. Manisha Ramachandran started learning Hindustani Classical Vocal music at a young age. Her interest in music was encouraged by her mother at a young age after which she proceeded to learn music and take examintions under Gandharva Mahavidyalaya. 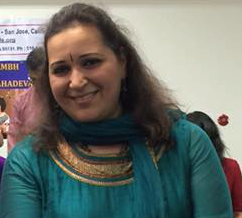 She has continued to learn from several vocalists and gurus and teaches in the Bay Area. 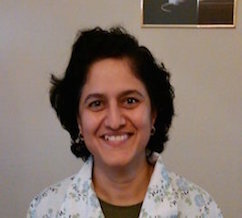 Neelam Dabholkar is a corporate trainer and teaches Project and Product Management. Music has been a part of her life since she was 5 years old. She learned music from Mrs. Leela Karembelkar. She loves Hindustani Classical as well as light music. She has been teaching music to children for the past 5 years and is also a part of some music groups in the Bay Area. She has also sung children's rhymes for a youtube channel called Videogyan.